Every Filipino learner will have these fears – “I’m not good enough yet.” “I don’t think I’m making any progress.” “What if I never reach my goals?” Filipino learning fears – we all get them from time to time. What are yours? And are they worth being scared of? 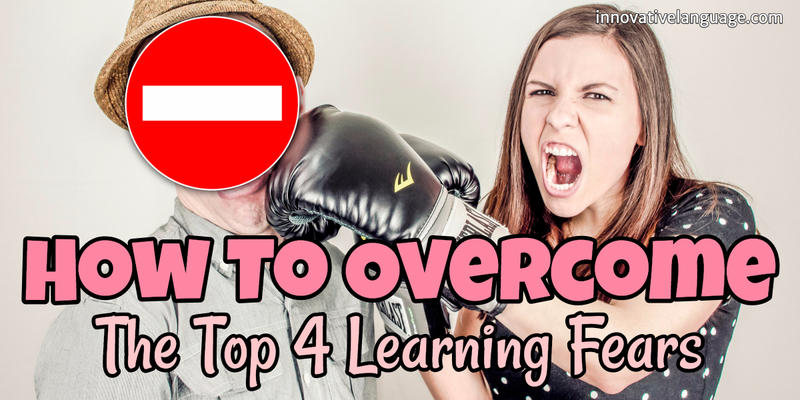 In this blog post, we’re killing the top 4 Filipino learning fears – 1) what are the fears learners tend to have the most and 2) how you can overcome them! The best way to get good at speaking is to start speaking from day 1. So if you’re holding yourself back, because you think you’re not good enough, well, that’s exactly why you’re not good enough. You need to open your mouth and start talking! If you think you’re not good enough, just learn Filipino lines you want to say! In our lessons, you get the exact phrases and scripts for introducing yourself making small talk, ordering food, expressing opinions, and much more! So if you think you’re not good enough, the lessons will give you the exact lines to say. 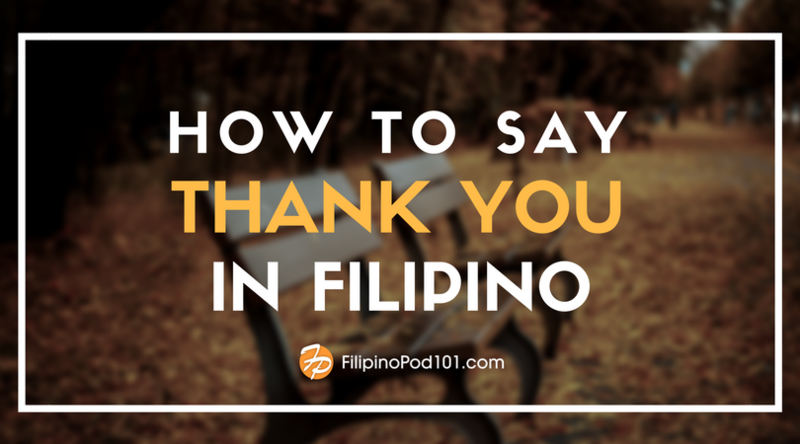 Want to speak Filipino with confidence? With Learning Paths, get your personalized courses based on your goals and interests. Check it now! Many successful Filipino learners worried about that, only as a beginner. They started learning Filipino and, it’s funny because the better their Filipino got, the less they were worried about that. So, how can you overcome this? You’ve got to set small, specific goals. Fluency is a big vague goal. Arguably, we don’t even speak fluent in our native language. There are over a million words and we use about 2,000 words only. So you should focus on smaller goals like being able to introduce yourself or having a 5-minute conversation. Or 10 minutes. Something you can measure so you know you reached it because you can’t really measure fluency. It’s a pretty vague goal! But you can measure small goals like having a 5-minute conversation. And as these small goals add up, you’ll be speaking very comfortably! Discover now 10 Monthly Goals that will help you on your way to Filipino fluency! In other words, getting stuck. If you’re afraid you’re not making progress, there are two things you can do right now. Use the dashboard to track your progress. If you need numbers to believe it, our dashboard tracks all the lessons you’ve completed and shows how much you’ve accomplished. Try a harder lesson on the site. It sounds crazy and you might not understand it but you will in minutes. Our lessons come with line-by-line translations and the lesson hosts explain everything. THEN, you’ll be making progress because you now understand something you didn’t minutes ago. From Beginner to Advanced, get the lesson that is perfect for you! Start learning Filipino now! 4. “I’m afraid of not understanding anything I hear”. If you’re taking an advanced lesson, simply read along. Reading along with our line-by-line tool is the best way to instantly understand advanced conversations. The translations and scripts are right in front of you. For real-life situations, learn useful phrases. Like “Can you say it more slowly?,” “Can you use simpler words?” or “I don’t understand what that meant.” There’s nothing wrong with saying that you didn’t understand something or with asking for help. And our Survival Phrases lessons cover must-know phrases like this. So, these are the top 4 fears and how to overcome them. And if you want to have the perfect tools to overcome them, don’t forget to create your Free Lifetime Account at FilipinoPod101.com! 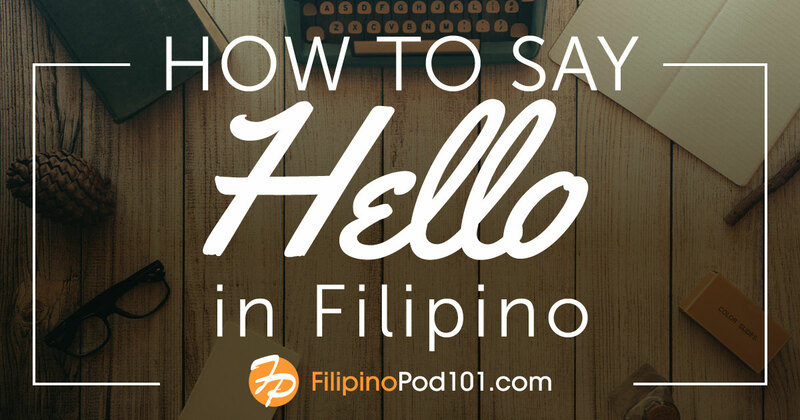 How To Say ‘Hello’ in Filipino, and Other Filipino Greetings!